The leather bound Journal, from Tuesday 19 May 1868 to Thursday 11 November 1869 contains 1138 pages (although pages 1136 and 1137 have been removed). 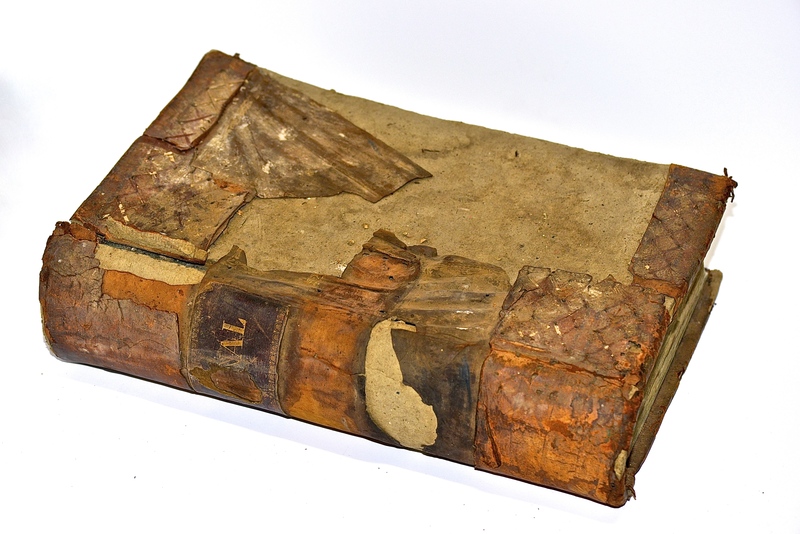 The soft brown leather covered book has an intact spine but the front cover has suffered a lot of damage. The covers are made of three thick layers of board. The back cover is in better condition with clear evidence of leather patterning in panels and embossed detail. Different leathers have been used for decorative effect. The word “Journal” is in gold lettering on the spine. The marbelled end papers of the covers are red and yellow. The numbered ruled pages are in good condition, with printed red lines on bluish paper and various shades of black ink. John James Wright’s Old Post Office Store Journal records transactions of local people in 1868-69, during a period of growth in both the town and the Colony. 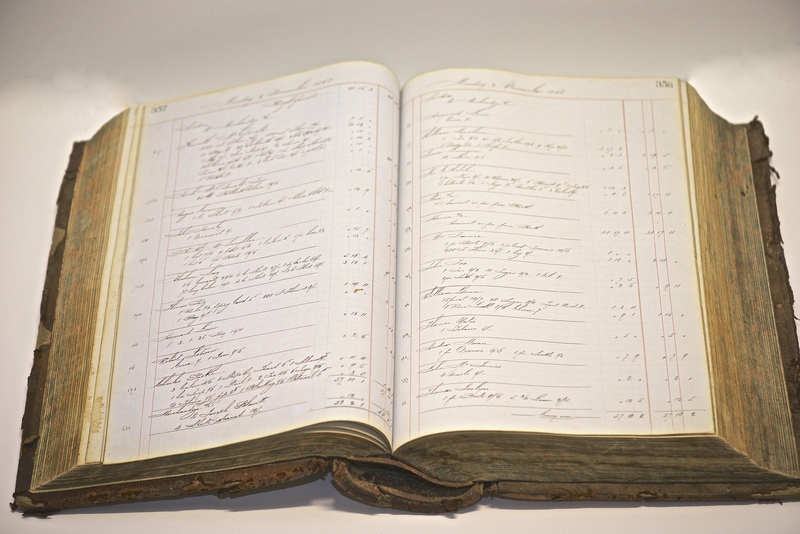 Original daily transactions are recorded in the Journal and the summarized personal accounts contained in the Ledger are unique, well provenanced historical records of local Queanbeyan trade and are of great social significance. J.J. Wright was an influential, complex man integral to the prosperity and development of the town from an unruly village to a Municipality. The store and its owner were an outstanding part of the Queanbeyan story and the store’s records are evidence of J.J. Wright’s commercial success at that time. What did customers buy in 1868?